I remember when Monday mornings didn’t hold the same stigma they have now. Before 9am-5pm work hours, oppressive cubicles and blaring screen monitors, I remember waking up on Monday to sunlight flooding my apartment, the sounds of car horns and French mingling outside my window and the promise of an unpredictable day ahead. This was Rouen. When people think of New York State, few divert their attention away from New York City and its five boroughs. The beauty of upstate New York—boasting mountains and vineyards—is often lost in the shadow of the promise and excess of Manhattan. Similarly, when people think of France they often turn their attention to Paris. 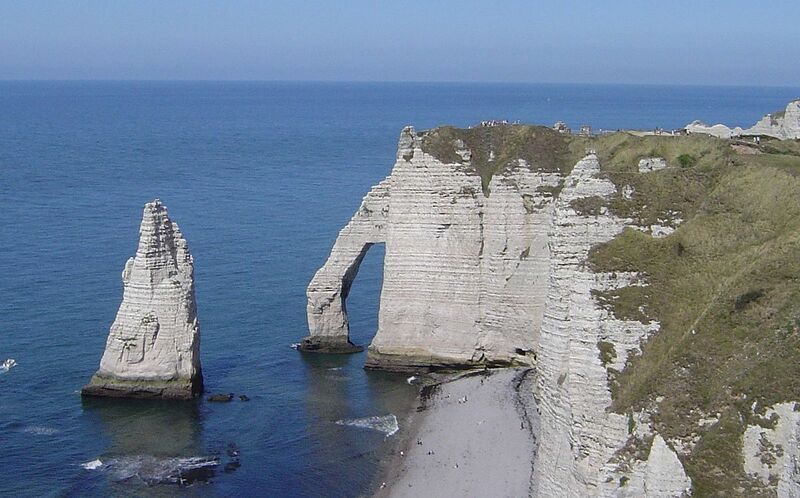 The city of love and light seems to outshine its neighbors, stealing the spotlight from other beautiful cities like Rouen in France’s Normandy region. In Rouen, historical buildings stand alongside modern shops in this city where old and new traditions converge. The town is vibrant, where a stroll around the corner reveals quaint merry-go-rounds and playful Ferris wheels set against a backdrop of severe cathedrals with statues of omnipresent saints. I spent three months living in Rouen in a charming flat with a cobalt blue door on the Rue Saint-Maur. With the city of Rouen just an hour or two shy of Paris, I had the good fortune of living in a city reminiscent of medieval France and being only a train ride away from strolling the romantic banks of the Seine in Paris. Writer Charles Baudelaire coined the whimsical French term “flânerie,” a word that holds many meanings and interpretations but ultimately describes people who are connoisseurs of the street, observing the world around them. I learned of the term “flânerie” while in Rouen and fell in love with the word as it seemed to encapsulate my experience in France. 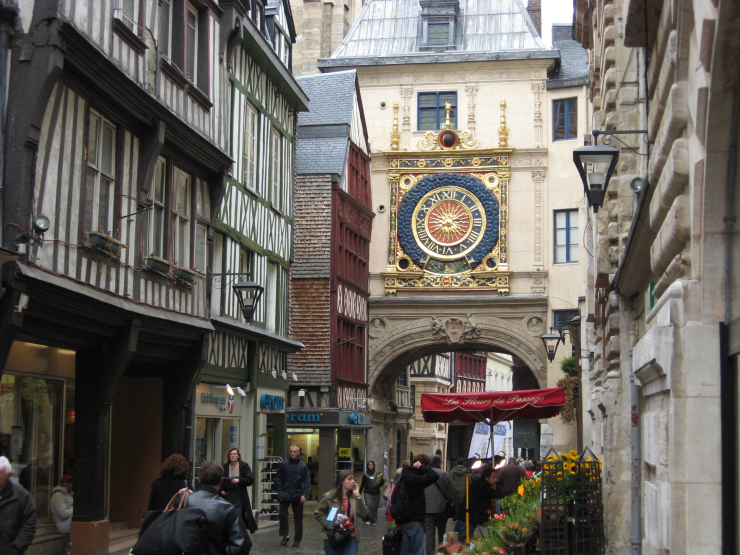 Not having a full grasp of the French language and living abroad for the first time in my life, I roamed the streets of Rouen letting the city unveil itself to me while I observed the immense variety of life. “Flânerie” has defined the way I travel because organized tours, cruise ships and other packaged tourist excursions do not offer the same intimate discovery that exploring a city by foot does. Only while aimlessly walking the streets of Rouen did I discover pock marked cathedrals, vintage French bookshops, small bakeries and ponds of elegant swans. Although I will always swoon under the gaze of Notre Dame and the Eiffel Tower and find unparalleled inspiration while exploring the streets of Paris; I hold a special place in my heart for the city of Rouen. Despite falling within the shadow of the sparkling city of Paris, Rouen is a breathtaking city rich with history that is worth turning your attention to.